Did Your Town Make the List? 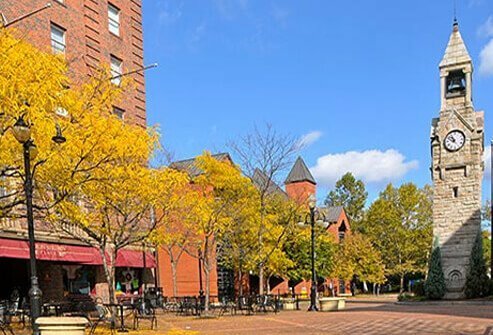 This northern Colorado college town gets an F for high-ozone days. 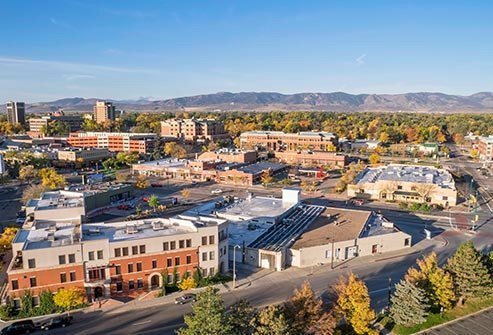 Nestled at the base of the Rocky Mountains, Fort Collins consistently has Code Orange air quality. That means it’s "unhealthy for sensitive populations." If you have asthma, lung disease, or another health condition that affects your lungs, you might have a tough time catching your breath here. The air in Vegas stays the same in Vegas. The Sin City metro area holds its spot as the nation's ninth smoggiest city. The town boasts more than 300 days of sunshine yearly. That means more smog, which thrives on sunny, warm days. The state even has a smog-spotter program that lets you report cars and trucks spewing smoke. 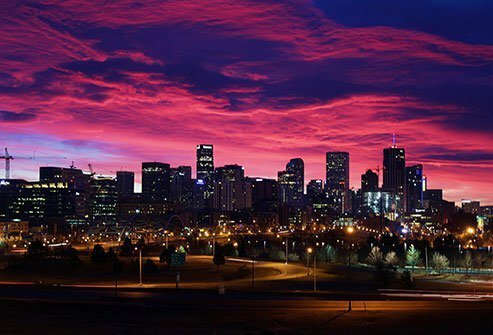 The Mile High City and its eastern suburb soar five spots to land among this year's top 10. With blue skies, rolling plains, and more sunshine than Miami and San Diego, you might expect lots of fresh air here. But being in the foothills of the Rockies traps gases from tailpipes, power plants, and oil and gas works. Add a growing population, and you have a perfect recipe for smog. 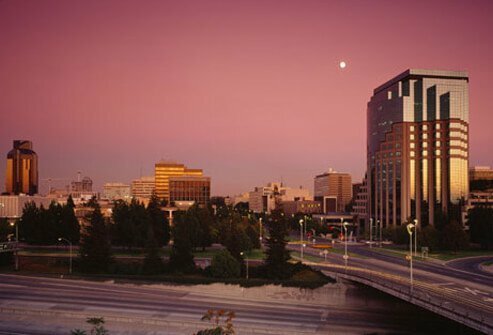 The San Joaquin Valley area has been in or around the top 10 for the last few years. And it keeps inching up. This time around, the area had more high-ozone days on average. Its bowl shape and wind patterns hold in unhealthy auto exhaust and other things that gunk up the air. Rising temps across the area lead to even more smog. California's capital area keeps making strides against dirty air. Again, this metro area has lowered the number of ozone days. It moves up one notch to a slightly better position on this year's list. But it remains a smog center. Hot, dry summers, four major highways, plenty of traffic, and its valley setting are to blame. America's sixth largest city leaps into fifth place after ranking 10th last year. Warm summer temps, dry desert-like weather, and more than a million residents fuel the smog problem here. It's worst from May through September. 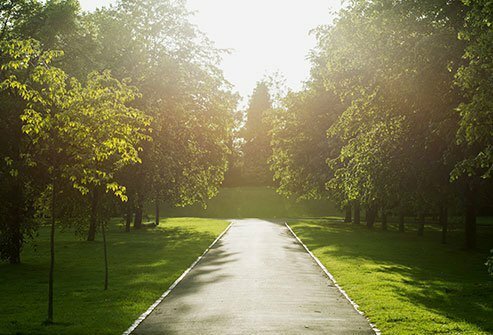 If you live here, help keep the air clean by fueling your car after dark or in the evening, when it's cooler. 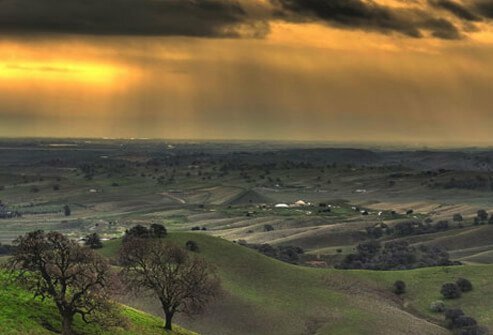 The landscape of San Joaquin Valley can truly take your breath away. 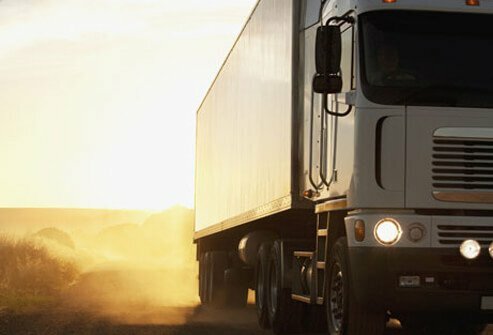 It traps pollution from cars and industrial equipment. That leads to unhealthy air. This central California area's average number of high-ozone days jumped again this year, cementing its place as the nation's No. 4 smog city for the third year in a row. The gateway to Sequoia National Park has long had high ozone levels. Its warm weather plus exhaust from diesel trucks and other vehicles keep this city blanketed with ozone. But this year, Visalia saw its lowest average number of unhealthy ozone days since the American Lung Association started keeping tabs on them. It improves one spot from No. 2 last year. 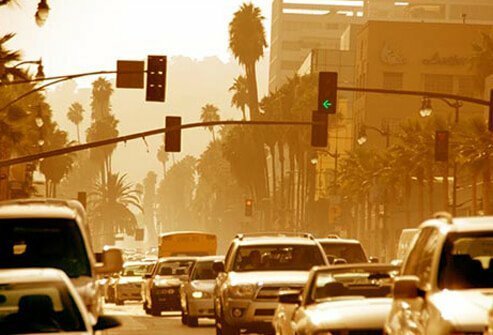 This Southern California metro area has had a long battle with unhealthy air. Once again, the sprawling city of 875,000 recorded a higher-than-average number of bad ozone days. It jumps a notch this year, making it the nation’s second-worst smog city. Its location on the edge of the state’s central valley traps fumes from car, trucks, and nearby oil companies. The 18.5 million people in this City of Angels might breathe a tad easier this year. The region enjoyed its best air numbers since the American Lung Association started giving out report cards. Yet it remains firmly in first place as the nation's smoggiest town. A big reason for its long, tough battle with dirty air? Pollution from super-thick traffic gets trapped by mountains on three sides. 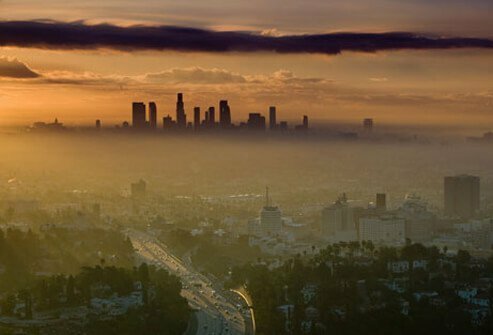 The American Lung Association’s report looks at more than just smog. Other stuff in the air called particulates can get stuck deep in your lungs and make you sick, too. These tiny bits of smoke, dirt, dust, and soot spiked in Bakersfield this year That’s why it’s back on top of the list of most-polluted cities for particle pollution. Recent droughts and wildfires fueled the rise in dirty air. Want a breath of fresh air? 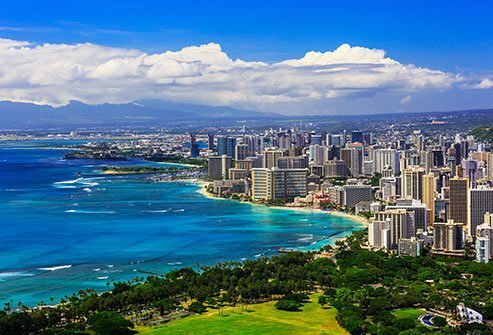 Four U.S cities that span the country from Vermont to Hawaii had 0 days of unhealthy levels of smog and short-term, airway-clogging particle pollution. They also boast low levels of year-round particle pollution. 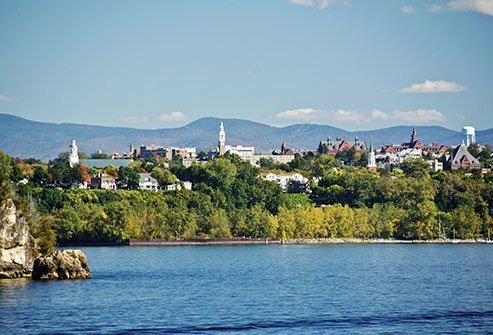 Fresh breezes abound in this charming college town tucked between Lake Champlain and the Green Mountains. Vermont's largest city, the area has just over a quarter-million residents. With awe-inspiring landscape, a quaint downtown district, and yummy local fare, this city will take your breath away -- but not in a bad way. Perched on the edge of New York’s Finger Lakes region, this area is known for natural wonders and wineries along with wonderfully clean air. It boasts beautiful rolling hills, hiking trails, and plenty of places to cast your fishing rod and relax. Or, take a breath and write your memoir. The Victorian home sites that inspired many of Mark Twain's writings are in this area. Surf is up and smog is way down in this beachy capital city. Despite heavy traffic from the area's million-plus residents, sea breezes help sweep away smog-forming gases. Also, lots of rainfall and a lack of heavy industry means the air quality is generally always good on the island of Oahu. The "Salad Bowl of the World," as it's fondly dubbed due to its fruit and veggie crops, has some of the state's healthiest air. 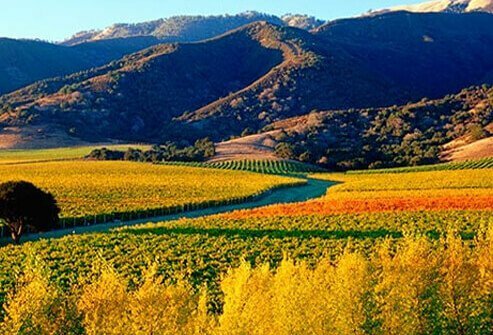 The climate is also ideal for the floral industry and world-famous vineyards. Located at the head of a valley and close to the Pacific, this California town is no stranger to the clean-air list. Unlike cities to its west and south, Salinas benefits from a fresh wind and a largely rural economy without much traffic. American Lung Association : "State of the Air 2015: Cleanest Cities." American Lung Association: "Every Breath You Take: State of the Air 2015." American Lung Association: "State of the Air 2015: Most Polluted Cities." News release, American Lung Association. American Lung Association: "State of the Air 2014: Most Polluted Cities." American Lung Association: "State of the Air 2013: Most Polluted Cities." 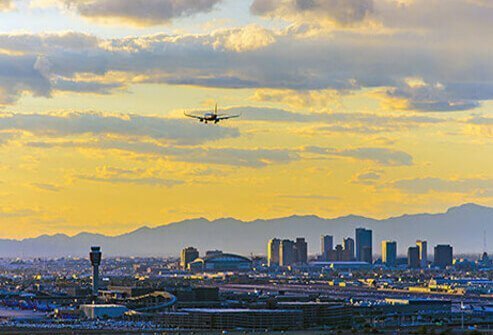 Greater Phoenix Convention & Visitor's Bureau: "About Phoenix." Greater Phoenix Convention & Visitor's Bureau: "Phoenix Weather." Environmental Protection Agency: "Ground-level Ozone, Basic Information." Maricopa County, AZ Air Quality Department: "What is Ozone?" National Resources Defense Council: "Air Pollution: Smog, Smoke and Pollen." 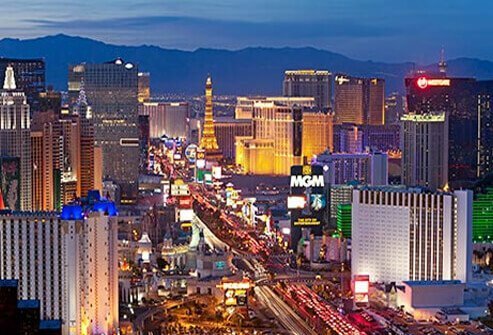 City of Las Vegas: "Fun Facts About Vegas." Nevada Department of Motor Vehicles: "Smog Spotter." 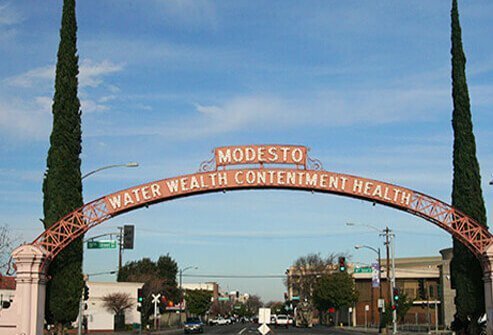 Merced County, California: "Living in Merced." 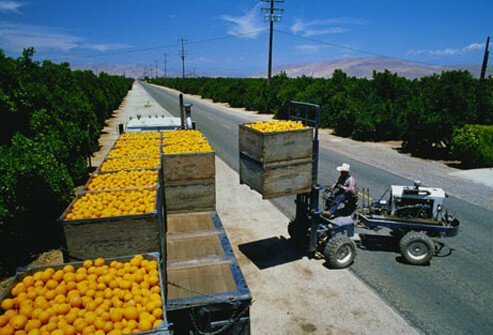 U.S. Environmental Protection Agency: "Geographic Area of Focus: San Joaquin Valley." Climate Central: "The Heat is On: U.S. Temperature Trends." The Center for Public Integrity: "Texas aligns itself with industry in fight against tighter smog standards." American Lung Association: "State of the Air 2015 Report Card: Dallas-Fort Worth." Air Alliance Houston: "Big Oil Lawsuit Challenges Houston’s Right to Enforce Air Laws." U.S. Environmental Protection Agency: "Cross-State Air Pollution Rule in Texas." American Lung Association in California: "State of the Air, Greater Sacramento Area." 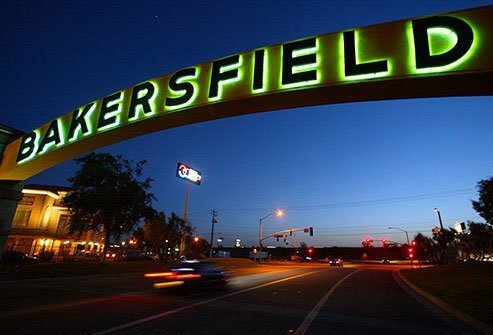 Bakersfield Visitors and Convention Bureau. American Lung Association: "State of the Air 2015: Bakersfield." American Lung Association California: "State of the Air, San Joaquin Valley." U.S. Census Bureau : "Los Angeles County, California." American Lung Association in North Dakota: "Is North Dakota Making the Grade on Air Quality?" City Data: "North Dakota – Climate." Cape Coral Online: "Welcome to Cape Coral, Florida." Sun Sentinel: "Air pollution in South Florida increases from April to mid-June." Rand McNally Distance Calculator, Fargo, N.D. to Bismarck, N.D.
City Data: "Rapid City: Geography and Climate." Janice Nolen, assistant vice president, national policy, American Lung Association, Washington D.C.
Argus Leader: "Breathe deep: S.D. air worth taking in."